Yes. Yes. Yes. This is another band I am going to sort of muffle when I try to say their whole name. Thank the gods the band sometimes go by their shorter acronym NNGNN which still sound like you are muddling words. Regardless of any pronunciation, Nolti Nan Gana Nan Nolta is a British black thrash whose dedication to the sound of Celtic Frost, Abigail, and Bathory, could come off as worship if the band was not so capable of making a solid debut EP. If one enjoys riffs, attitudes, and a release with the name “Venomhammer” in the title, then Nolti Nan Gana Nan Nolta will be the best thing you hear this week. Identification is important as Nolti Nan Gana Nan Nolta’s sound fits nicely with other bands of the same style. The world of black thrash is dominated by speed, grooves, and desire to decimate. While punishment is top priority, the destruction is meant to be enjoyable. 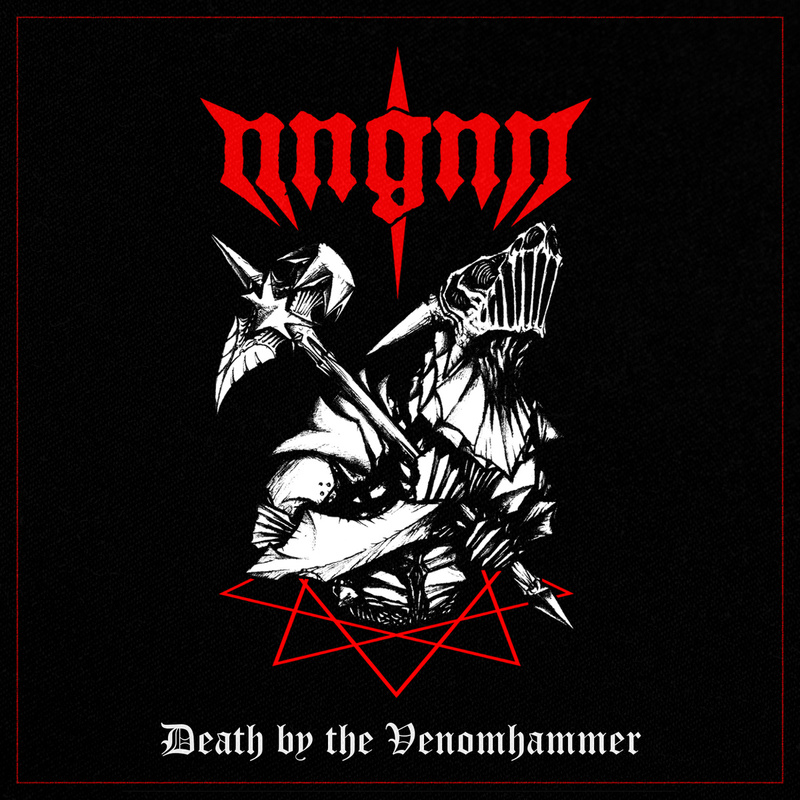 Death by the Venomhammer allows its listeners to become particpants in citywide demotion. This sort of anarchy is also enhanced by the band’s desire for self reference. Nolti Nan Gana Nan Nolta music calls attention to their sound with songs like “Black Thrash Massacre” and the eponymous track “Death by Venomhammer.” The band revels in their style and image and if it were not for the fact everything works so well, things might get weird. Luckily for everyone involved, Nolti Nan Gana Nan Nolta delivers with a simple formula carried out with precision. Nolti Nan Gana Nan Nolta is meant for a small audience but can be enjoyed by nearly everyone. The music is clean and the vocals while festering mixes evenly with the music. There is nothing abrasive about the music especially after a few slugs of whiskey and a punch to the arm. It is a band that one can give people who do not like metal and forced to listen to until they enjoy it. Death by the Venomhammer is best thing everyone around you will love but does not know about yet.